Just added minutes and now the W376G display just shows how many minutes I have left. It used to say how many minutes and also the date that the minutes run out. How to get date of expiration back is the question. 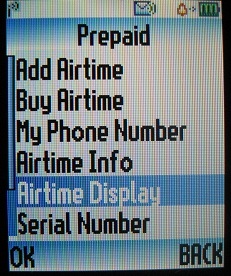 On my W376g you have to go to the Prepaid menu and select Airtime Display. 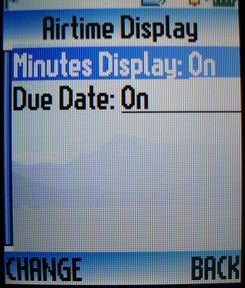 There you can check that both "Minutes Display" and "Due Date" are both set to "On". If not, select "CHANGE" to fix that. I've added a couple of screenshots of the menu above. On a related note, I preferred how Tracfone used to just show an expiration date. More recent phones show a moving banner that tells you how many Service days you have left. While it's more convenient to know how many days are left, I wish the banner didn't move.